I want to take this time to thank you and your wonderful and knowledgeable staff for assisting myself and supaporn in attaining a K-1 Visa. 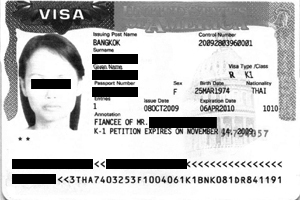 Over the last five months, you and your staff have guided us effortlessly in our quest to attain a visa for Supaporn. On November 16th, we were issued the visa. Supaporn and I are excited at this chance to begin a new chapter in our lives-this time together in the same country and same city-New York! If we ever come across another couple in the same situation as ours, we will whole-heartedly recommend your services to them. Again, thank you and your staff for a job well done.